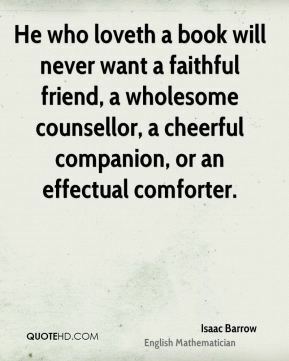 He who loveth a book will never want a faithful friend, a wholesome counsellor, a cheerful companion, or an effectual comforter. 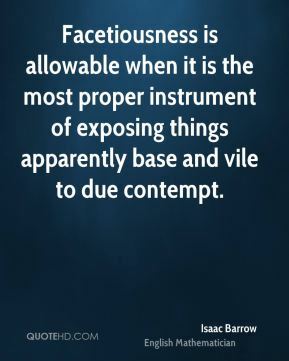 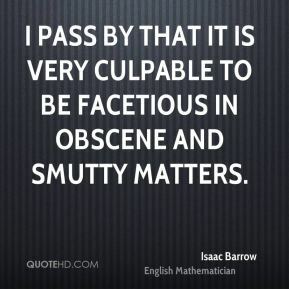 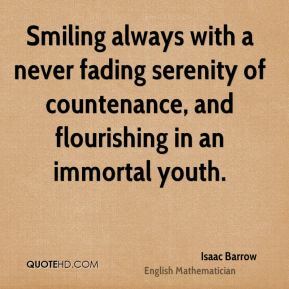 I pass by that it is very culpable to be facetious in obscene and smutty matters. 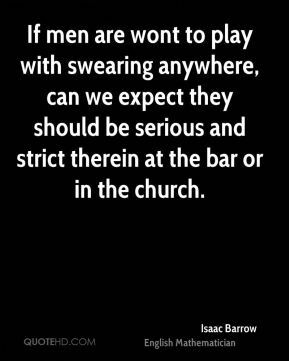 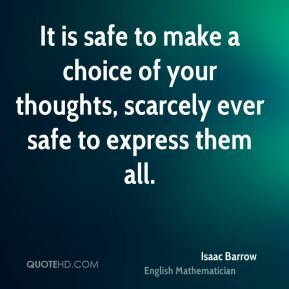 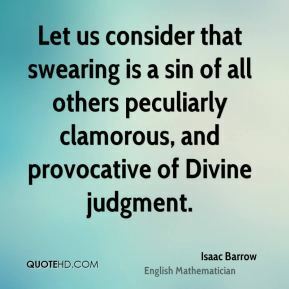 If men are wont to play with swearing anywhere, can we expect they should be serious and strict therein at the bar or in the church. 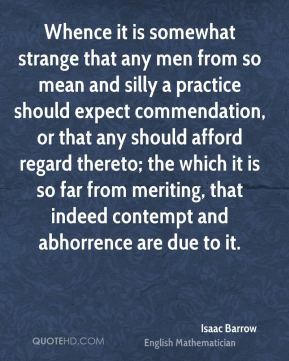 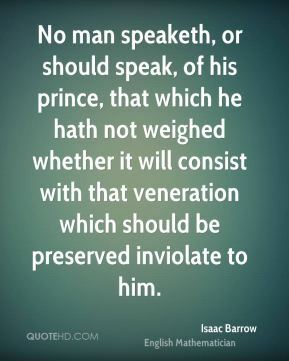 No man speaketh, or should speak, of his prince, that which he hath not weighed whether it will consist with that veneration which should be preserved inviolate to him. 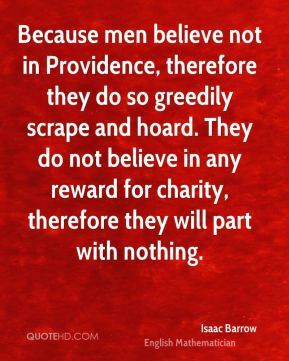 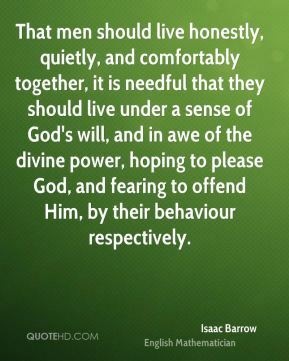 That men should live honestly, quietly, and comfortably together, it is needful that they should live under a sense of God's will, and in awe of the divine power, hoping to please God, and fearing to offend Him, by their behaviour respectively. 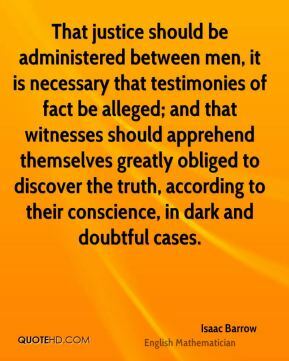 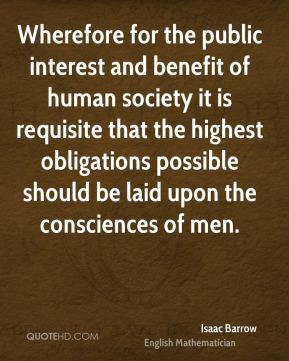 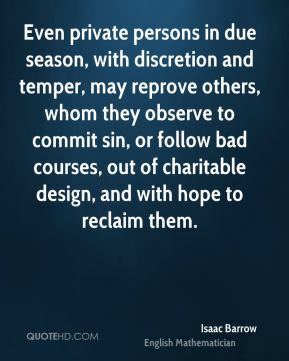 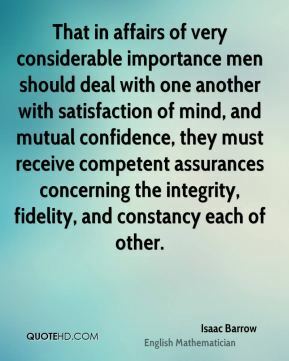 Wherefore for the public interest and benefit of human society it is requisite that the highest obligations possible should be laid upon the consciences of men.